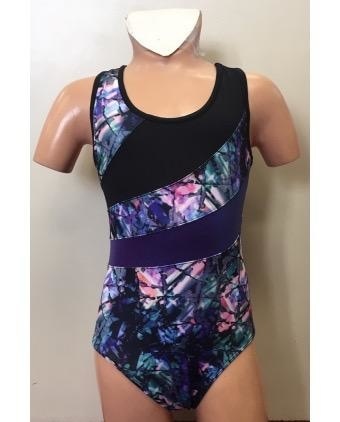 Child's Tank gymnastic leotard Enchanted print with black and blue/purple accent colors. Blue/Purple accent is a foil that changes color on angle. Back cris-cross straps and accent straps. 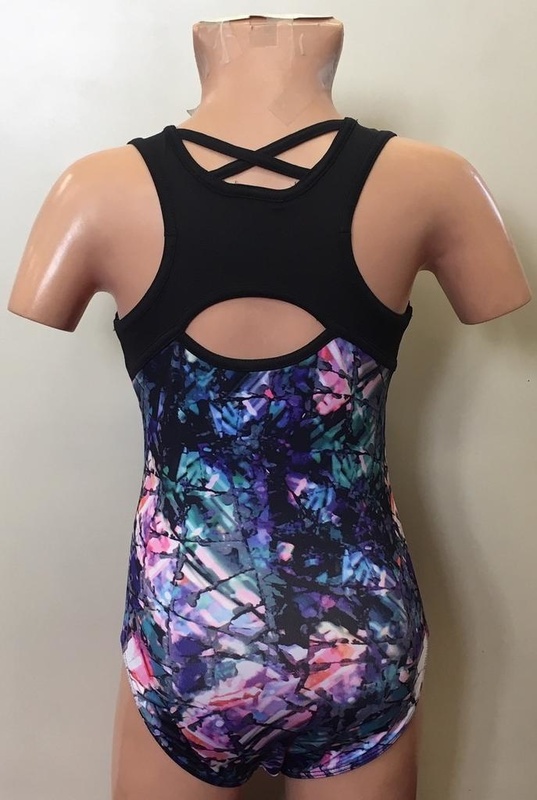 Keyhole opening on back side. Polyester/Spandex material.